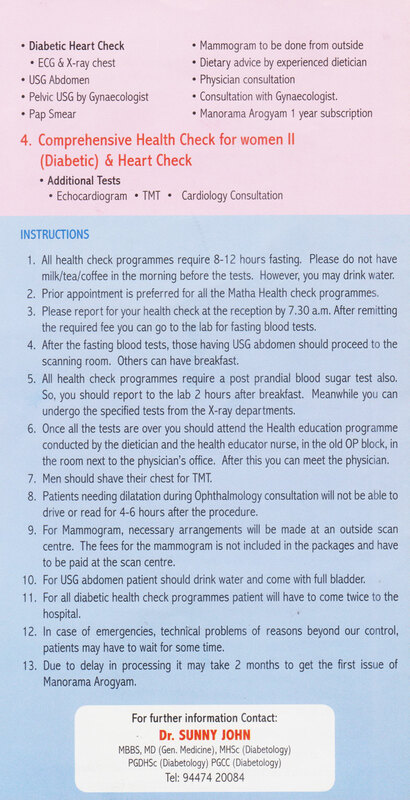 Matha hospital offers different levels of health check up options. We offer numerous packages from which you can choose the most appropriate one based on your preference and health aspects. You may also plan to undergo a custom made health checkup plan based on your specialized needs.